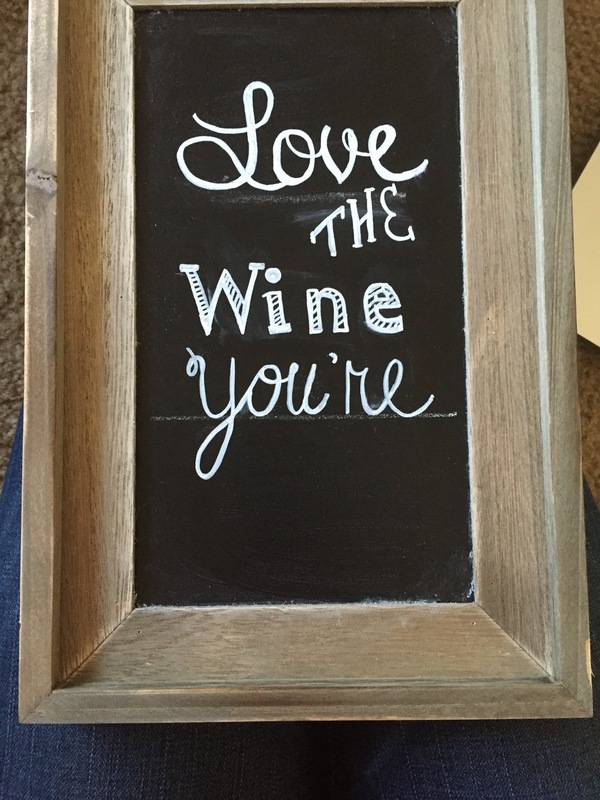 Recently I jumped on the chalkboard sign bandwagon... and I LOVE IT. Not only was it fun to make, but it's art that can be updated with the seasons or changed with your mood. When I started writing on the smaller one I was shocked at HOW TERRIBLE I was at it. So don't get discouraged if your first few attempt come out looking like your second grader did it. It only took a few tries and a good wet cloth to erase the mistakes to get a feel for it. Season Your Chalkboard. A seasoned chalkboard is a happy chalkboard. To do this you run the chalk lengthwise both vertically and horizontally over the whole board. This helps seal the board and fill in all the tiny gaps with chalk so your writing and designs don't permanently stain. Write It Out. It helps to write it out first either on a piece of paper or lightly in basic blackboard chalk to ensure you have the design planned out and it will all fit on your board. What Kind of Chalk? I like a mixture between basic chalk, chalk pencils, and chalk markers. Although I primarily use chalk markers, the plain chalk and pencils can add details and texture the markers simply can't. Bistro Chalk Markers are currently my favorite, they are in fact washable even after a couple months of sitting on your board. I can't attest to this if your board is receiving direct sunlight though. Stay Level. I highly recommend using a ruler and a level to draw lines on your board to keep your writing straight and level. There is nothing worse than finishing your masterpiece and realizing everything is slanted. Just erase the lines with a cloth or q-tip when you're done. Use a Wet Cloth & Q-Tips. I used a damp ripped off piece of old t-shirt as my eraser. Paper towels can leave fuzz and lint behind. Q-Tips will also be your best friend at the end of your project to help you clean up lines and any mistakes you make along the way. Happy DIY'ing! I would love to hear your favorite chalkboard ideas.